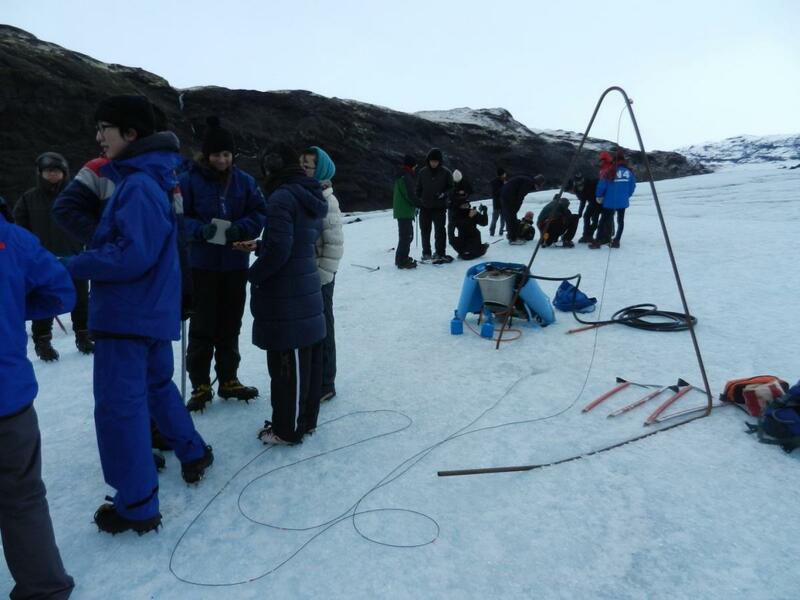 Ablation measurements on the snout of Sólheimajökull started in spring 2013 when a group of students in the course Glaciology JAR609G/JAR621G went on excursion on the glacier and used steam drill to make about 10-11 m deep holes into the glacier and installed three wires with weight at the end into the hole. 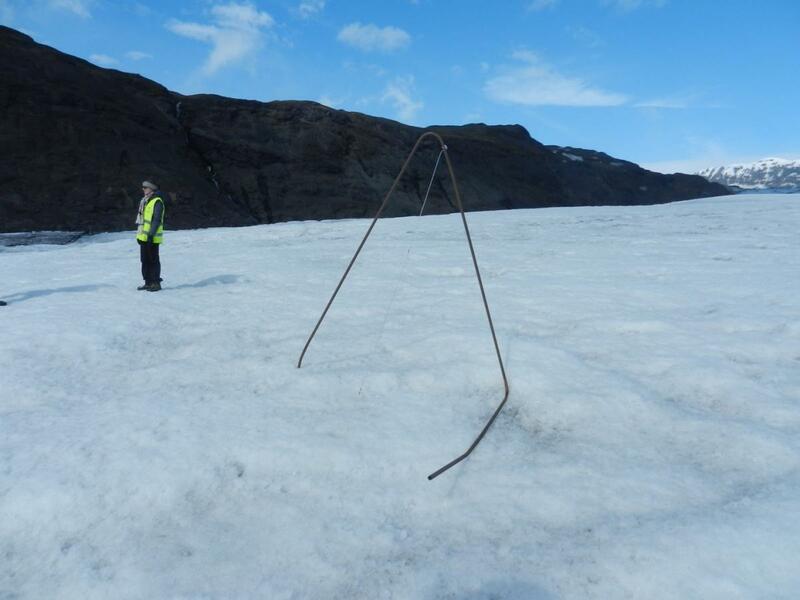 During the summer while the glacier is melting the wires come out of the whole and are curled on the surface. In the autumn the length of the wires is measured again to estimate the ablation rate during the summer. During the winter the surface continues to melt so that the wires melt out of the holes during approximately one year. Ablation wire installed into ice 10. May 2015, the wire has been drilled about 10-11 m into the ice. Photo taken 24. October 2015, in the autumn when the wire has been melted out and is lying on the surface. The rate of melt is variable over the summer and winter time. During the three years we have summer ablation measurements the melt rate has been 6-7 cm per day resulting in total ice melt about 7-9 m during the whole summer. In winter the melt rates are reduced to 1-2 cm per day so the surface is melting additional 3 m during the winter season.